Upcoming A24 movies in 2018 - Available as a download or stream? After critically acclaimed Lady Bird and The Disaster Artist – As well as artistically beautiful movies like The Florida Project and The Killing of a Sacred Deer, movie distributor A24 had a great 2017. This is their 2018 line-up. And judging by the upcoming trailers for their 2018 release schedule, it seems like A24 can do no wrong. Here’s a short list of upcoming movies you want to keep track of – And for you to get Where You Watch download alerts in your inbox. Thanks to Mr Meeseeks who wrote most of these descriptions. 18 year old Charlie Plummer stars as a homeless teenager with nothing to his name but an aging racehorse. He embarks on a thousand-mile journey from Oregon to Wyoming, in search of his only living relative, uncertain of whether they’re still alive and well. It is in his traveling where he experiences the brutal suffering life has to offer, as well as the unabashed kindness of complete strangers. The well-casted supporting roles are portrayed by Chloe Sevigny, Travis Fimmel, Steve Buscemi, Steve Zahn, Thomas Mann, and Amy Seimetz. Lean On Pete download alert. Eight Grade is directed by Bo Burnham, who has had minor roles in Funny People and The Big Sick. A movie centered around a girl who’s trying to survive the eight grade and become a high school teen. Disguesed as your standard indie flick but is, according to The Hollywood Reporter, is much more than this. Andrew Garfield stars as a simple-minded man who becomes obsessed with the disappearance of his neighbor. He recruits the help of his friend (Topher Grace) to launch their own investigation, unbeknownst to them they will stumble upon a vast conspiracy involving the most powerful billionaires and celebrities in Los Angeles. Written and directed by David Robert Mitchell, featuring Riley Keough, Zosia Mamet, Jimmi Simpson, Luke Baines, and Patrick Fischler. Under The Silver Leak download alert. Directed by Austin Vesely and starring Chance The Rapper (Chance Bennette) as well as Paul Scheer. 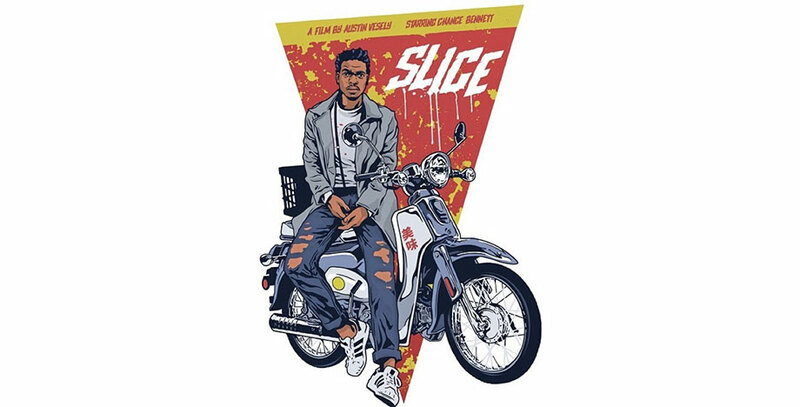 Slice is a movie about a pizza delivery guy who gets murdered in a small town somewhere in the US. The 80’s theme is still going strong in 2018. Timothée Chalamet stars in this coming-of-age film about a teenage boy who spends his summer vacation in Cape Cod. 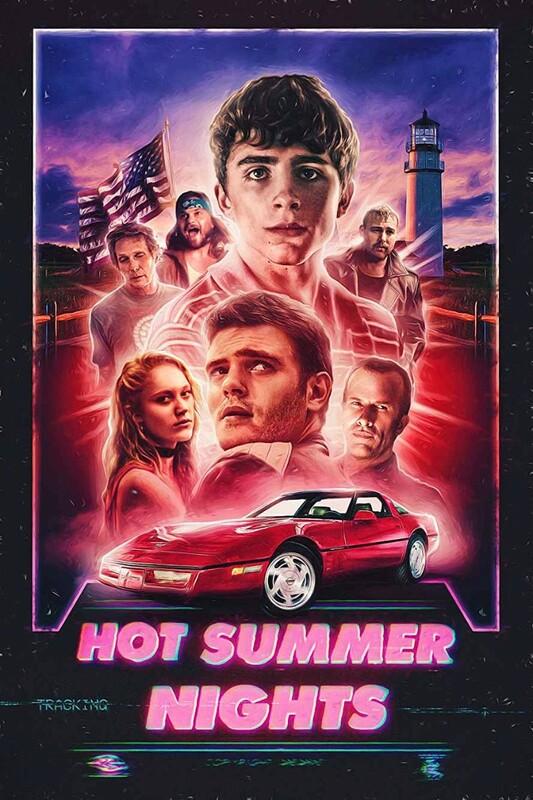 Written and directed by Elijah Bynum, the supporting cast features Maika Monroe, Alex Roe, Maia Mitchell, Thomas Jane, Emory Cohen, and William Fichtner. 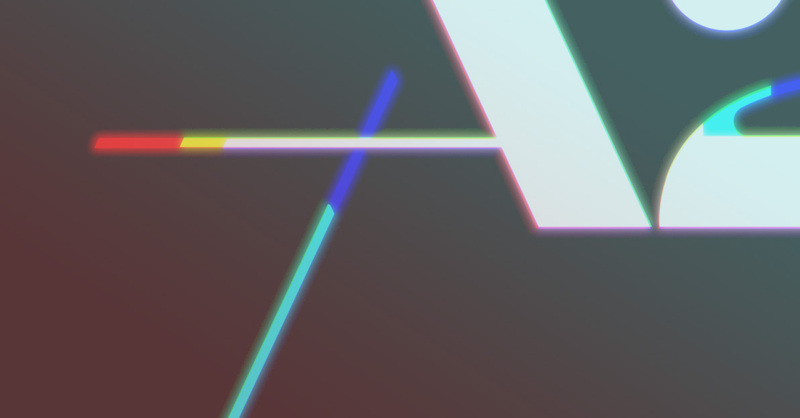 Hot Summer Nights download alert. Theo James stars as Michael Soussan a young employee for the United Nations’ Oil-for-Food Programme who unintentionally uncovered a large corruption scandal, with connections that lead all the way to Saddam Hussein. Soussan would eventually resign and leak details of the case in a now infamous Wall Street Journal op-ed. Adapted from Soussan’s book of the same name. Backstabbing For Beginners download alert.